The apartment was absolutely amazing (very beautiful and clean) The Spa area is hard-to-beat! FANTASTIC!!! 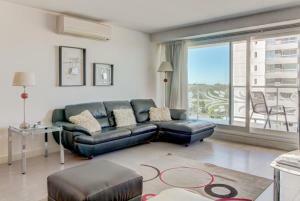 Excelent location , well decorated apartments , indoor pool is great for kids ( or adults ). I was on the 13th floor with ocean view and I could see "lLa Brava & La Mansa " Maintenance is pretty good as the place looks like just build. El departamento resultó cómodo y bastante equipado, sobre en todo en lo que refiere a vajilla y elementos de cocina. El edificio cuenta con cocheras, sin necesidad de reserva previa. De todos modos, la calle frente al edificio es muy segura y siempre hay lugar para dejar el auto. La atención del personal, tanto de la recepción como de la inmobiliaria, fue correcta. Incluso nos ofrecieron disponer de late check out, que si bien no lo utilizamos, no dejó de ser un gesto de cortesía. Fue un viaje de trabajo y descanso, fue excelente, pudimos hacer ambas cosas sin ningún problema. Las áreas de esparcimiento son super agradables y la ubicación es perfecta. Las instalaciones y la atención del personal. El personal es muy amable, están atentos a todo, son serviciales y educados. Fuimos a una convención en el centro de convenciones y la ubicación es a solo 5 minutos. a una cuadra del shopping, con restaurantes cerca. La llave nos la entregaron en seguida!! La anfitriona se comunico por WhatsApp apenas llegamos para ver si todo estaba bien y para ponerse a nuestra disposición. Muy lindo el Depto, muy bien equipado. Todo estuvo precioso, desde la comodidad del lugar hasta el trato tan amable de la gente. Seguro volvemos, increible lugar! Todo, no puedo decir nada al respecto. Fascina con todo. 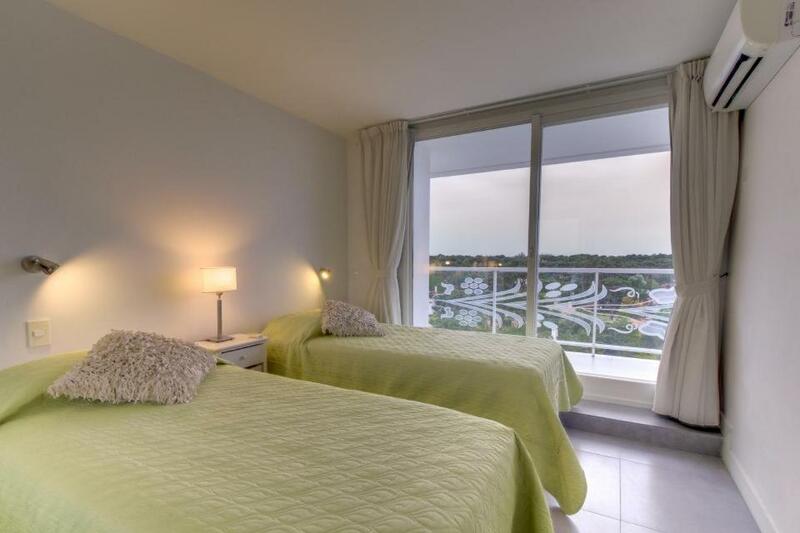 Lock in a great price for Yoo by Owner - Punta Location Apartments – rated 8.8 by recent guests! 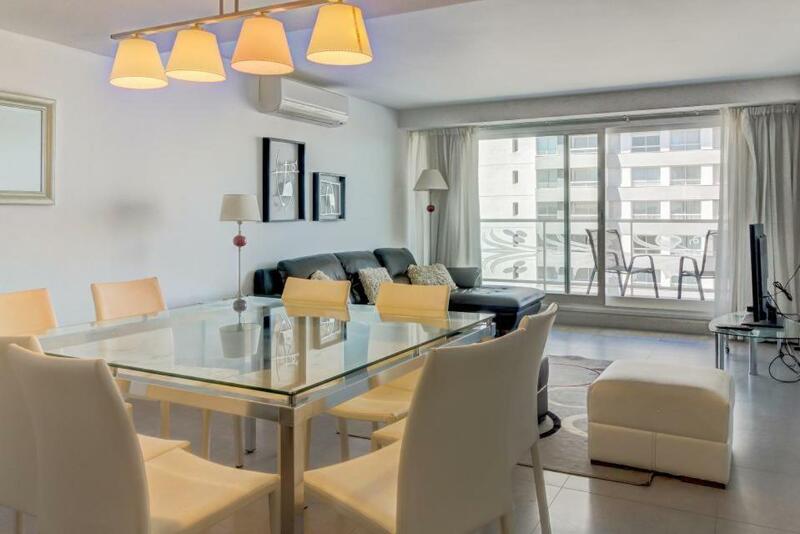 Yoo by Owner - Punta Location Apartments This rating is a reflection of how the property compares to the industry standard when it comes to price, facilities and services available. It's based on a self-evaluation by the property. Use this rating to help choose your stay! 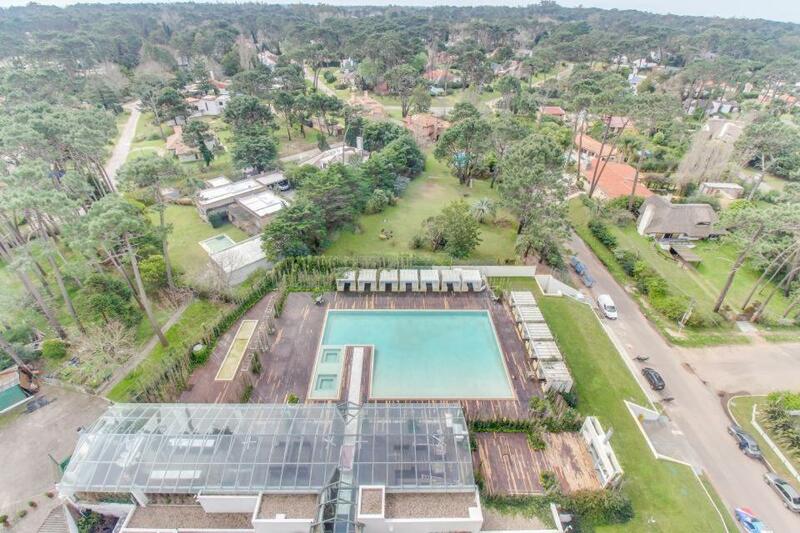 One of our top picks in Punta del Este.An outdoor swimming pool with a sun deck can be enjoyed only 1,000 feet from Playa Brava Beach at Punta Location Apartments in an upscale area of Punta del Este, only 2,650 feet from Mansa Beach. Gym facilities, a spa and a restaurant are available and Wi-Fi is free. 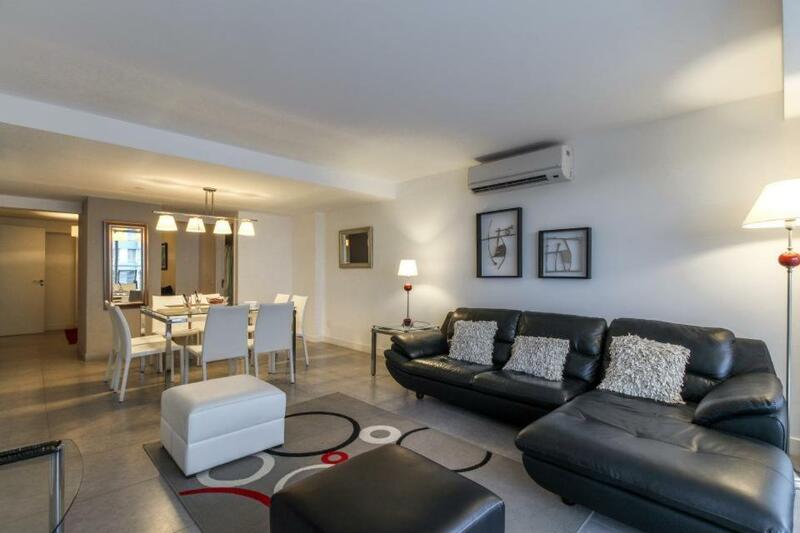 Punta Location Apartments has fully furnished accommodations with modern stylish décor, kitchen facilities and dining areas. They are also equipped with seating areas, flat-screen TVs and a DVD player. Guests who wish to enjoy a breakfast can do so at an extra cost. Beach umbrellas and furniture are provided. Some apartments feature sea views and extra bathrooms. Guests can rely on the tour desk for tips on visiting the area and bike rental is available. Punta Shopping Mall is only 350 feet from Punta Location Apartments and Laguna del Sauce Airport is 8.4 mi away. When would you like to stay at Yoo by Owner - Punta Location Apartments? A fully furnished apartment with a modern décor. It has free Wi-Fi access, a flat-screen cable TV with a DVD player, a safety deposit box and a well-equipped kitchen, including a stovetop, refrigerator, dishwasher and laundry facilities. 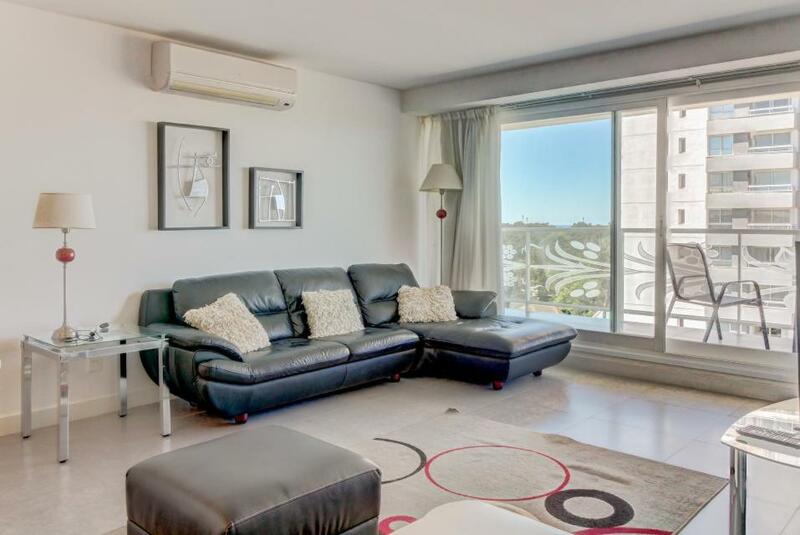 A fully furnished apartment with a modern décor and sea views. It has free Wi-Fi access, a flat-screen cable TV with a DVD player, a safety deposit box, two bathrooms and a well-equipped kitchen, including a stovetop, refrigerator, dishwasher and laundry facilities. 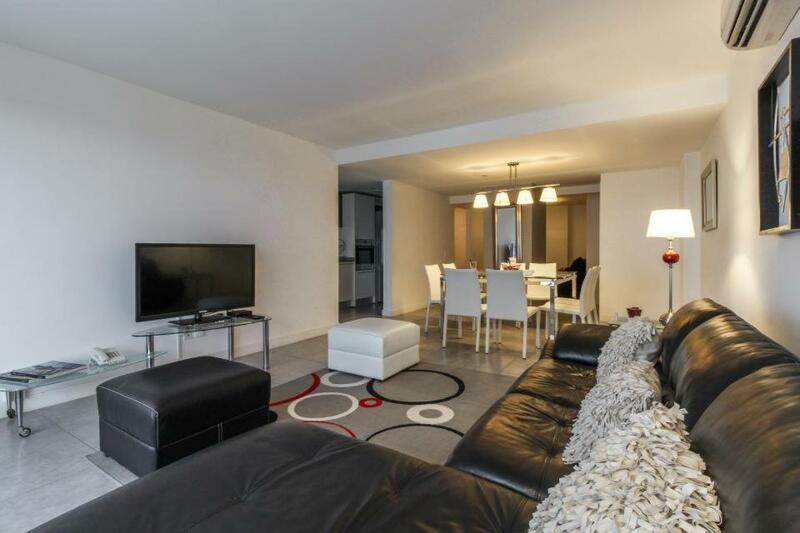 A fully furnished apartment with a modern décor. It has free Wi-Fi access, a flat-screen cable TV with a DVD player, a safety deposit box, two bathrooms and a well-equipped kitchen, including a stovetop, refrigerator, dishwasher and laundry facilities. yoo inspired by Philippe Starck is located in the 8th stop of Roosevelt Avenue, the heart of the Art District, a zone that blends glamour and design in one of the most exclusive beachside resorts in South America-. The location is also strategic, since it is between the west side of the peninsula, called the Mansa beach (calm side), and the east side of the peninsula, called the Brava beach (or wild side). 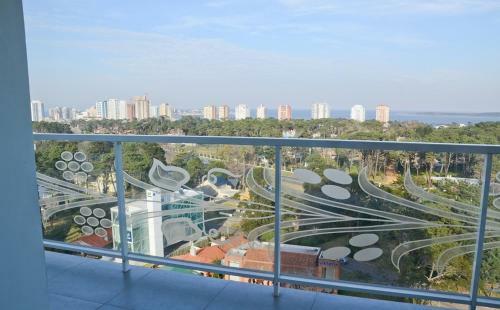 yoo Punta del Este combines high quality amenities with exquisitely designed and equipped apartments. All you need is yoo Punta del Este! House Rules Yoo by Owner - Punta Location Apartments takes special requests – add in the next step! Yoo by Owner - Punta Location Apartments accepts these cards and reserves the right to temporarily hold an amount prior to arrival. 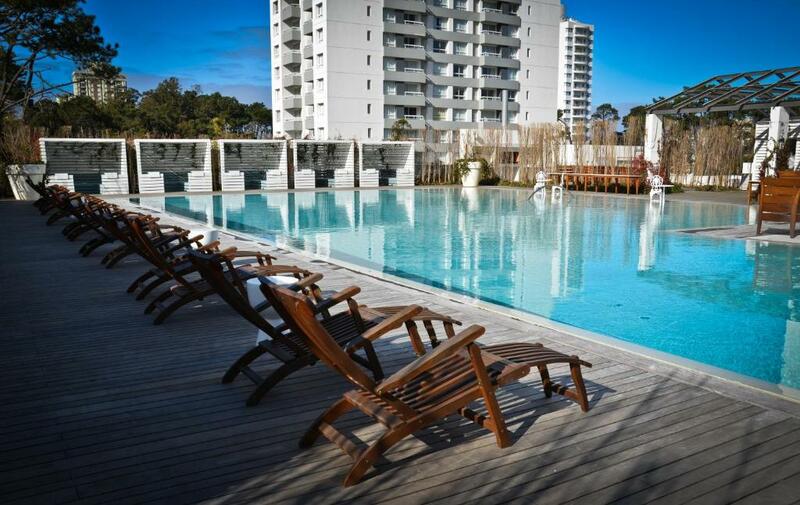 The heated swimming pool is only available for adults over 18 years old. Elevator is small and there are only 2 available. Pool is amazing, room was great. I really liked the room and the pool. Bed is confortable but a bit small for a 6" or taller. Gym has a 5 machines and a multi gym only and it is not enough in high season. The parking can not accommodate a truck like a Dodge Ram or similar.